Begin Again DVD and Blu-ray release date was set for October 28, 2014. 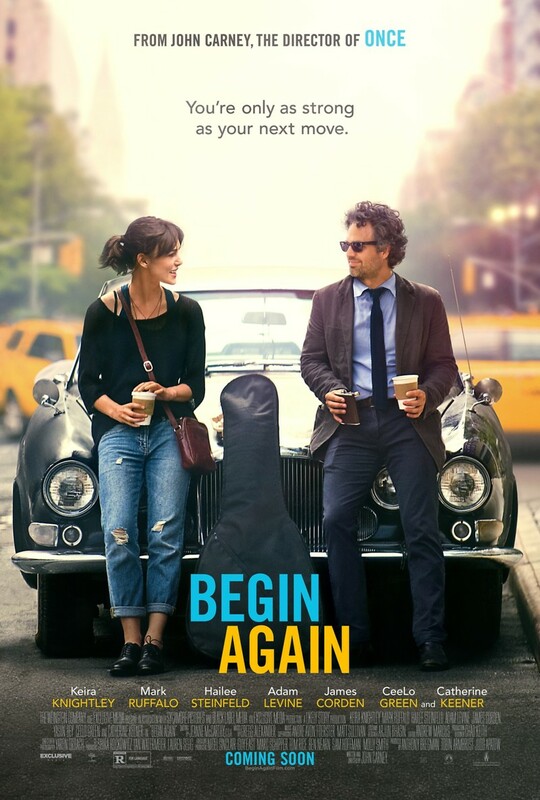 Begin Again tells the story of a relationship between two New York City musicians. Dave finds the fame and success that he has always wanted, but he struggles to stay true to his old values. He falls victim to the trappings of stardom, jeopardizing his relationship with Gretta. In the meantime, Gretta has a once-in-a-lifetime encounter with Dan, who gives her the opportunity to gain independence explore her own talents, which had been placed on the back burner during her time with Dave. The heart of the story is the evolving connection between Gretta and Dan, two unlikely musical partners. Begin Again captures the unique spirit of New York, turning its new bohemian art culture into its own character.